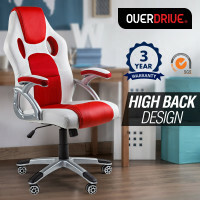 Reimagine your dream workspace with with luxurious Office Chairs by Overdrive, Avante, and Bio-Design, exclusively offered online by Mytopia. Combining form and function, sit comfortably for hours on end in these ergonomically-designed executive office chairs. Turn heads and transform your drab office or study into a chic room you can show off with elegant and ultra-comfortable office chairs from Mytopia. Fancy a trip to the spa? 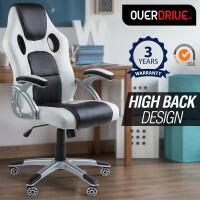 Bring the spa to your work space with Overdrive Executive Office Massage Chairs. 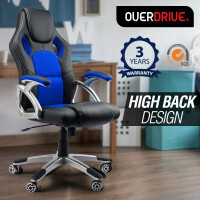 The pinnacle of all-around comfort, melt your aches away with the integrated 8-point massage system and heating control and firm lumbar support. 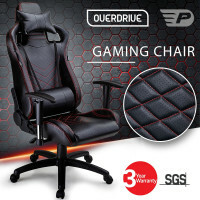 Zoom ahead of your competition with Overdrive Executive Racing Office Chairs. Feel at home in the driver’s seat with the motorsport-inspired design and exclusive GT-6 wheels. Its versatile design and superb durability make it a must-have for any workspace. 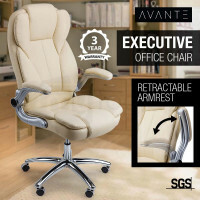 Move up with Avante Executive Office Chairs. Combining supreme comfort and an uplifting design, Avante Office Chairs are sure to elevate any working space. 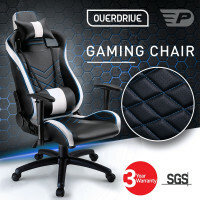 Feel like you’re in cloud nine with the thick multi-layer padding, premium faux leather covering, and firm lumbar support. Bring your office into the 21st century and beyond with the new Avante Mesh and Leather High Back Office Chairs. Built with polished chrome, the Avante Mesh High Back Office Chair is covered in an air-circulating mesh, ensuring optimum ventilation. 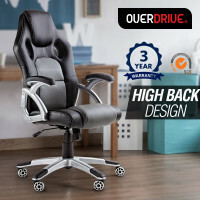 And the stylish Leather High Back Office Chair is covered in premium PU leather, making cleaning spills and scuff marks a breeze. Radiate power with the Bio-Design Leather Executive Office Chair. 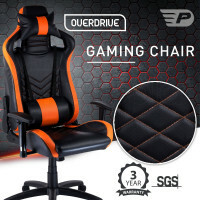 Its 360-degree wheels ensure maximum manoeuvrability while the solid powder-coated aluminium frame and handpicked leather provide sturdiness and support at an affordable price. 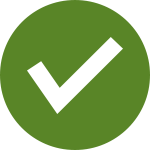 For all other office solutions, Mytopia also offers Office Chair Mats and Standing Desks. 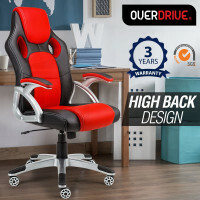 Order your Office Chair online from Mytopia now and experience unparalleled comfort at a low price!